Coco’s 1st Birthday: Pancakes & Pajamas! As I approach C’s 2nd birthday (insert semi-annual cry), I was reminiscing about his 1st birthday party. We chose two of his favorite things, pajamas and pancakes! It was so perfect and surprisingly easy! We asked all the guests to come in their pajamas, and I assume that some were pleased about that! First off, the perfect pajamas for my little man! 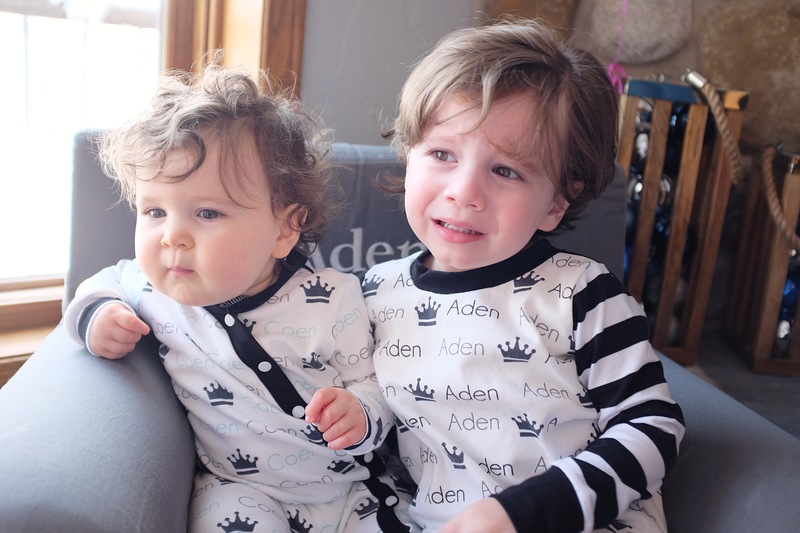 Sara + Co made me the perfect pjs for C and A; fit for a King. They were adorable & comfortable and the company was so wonderful to work with! We followed that up with the perfect tank for me…obviously. Beck + Co Apparel designed my “Coco Made Me Do It” tank for me and rocked it! It speaks volumes if you know my Coco, and I couldn’t’ love it more. The food was super fun to plan. We had mimosas, coffee, an egg/sausage bake, french toast bake, bacon, tie-dye bagels, donuts & mini pancakes on a skewer! After all, who doesn’t LOVE breakfast? Best meal of the day! For the cake I asked for a smash cake that looked like a stack of flap jacks! It was SO freaking cute I could hardly stand it! And the bakery then made cupcakes with bacon, eggs, donuts & pancakes on them. They were adorable, but more important, they were DELICIOUS! My little monkey dominated his cake smash. It was like he’d been preparing every day for 365 days! But then, after I cleaned him up I realized that the “syrup” on the cake had citric acid in it, that left his sweet skin SUPER upset & irritated! I felt HORRIBLE! #worstmomever Thankfully it went away shortly after, but make sure you know what ingredients can be smashed all over your kid’s body. And don’t worry, Coco was only crying because I took the cake away. He was okay, meanwhile my mom guilt was skyrocketing! 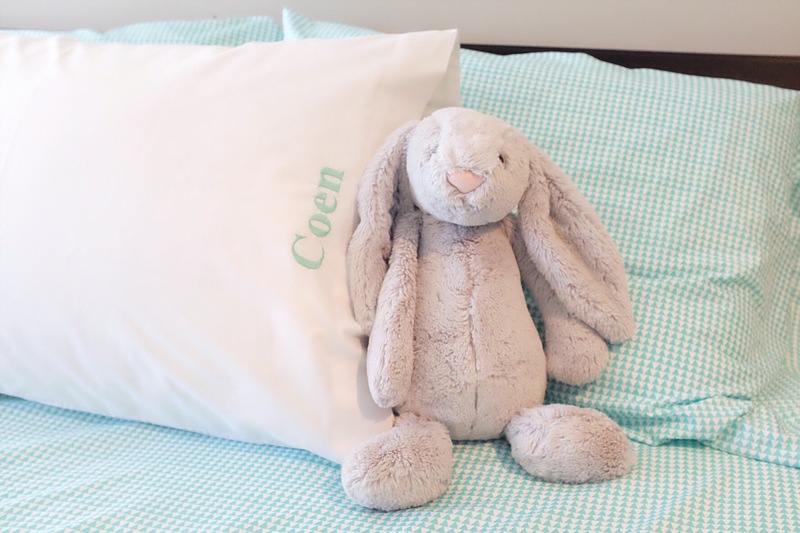 For party favors I had pillowcases embroidered with each kid’s name on them to take home and have a fun keepsake they can actually use! Everything was a success! Well, everything but our family picture, cause you know 2yr olds make that REALLY fun! Hope you get to enjoy a pancakes & pajama party in the future! I may have to recycle this idea again, it was so fun! Next ›Let me tell you somethin bout my best friends. Super fun idea! Love this!